A good brother - bad brother cop drama, Blood Ties features a superlative cast but is undermined by an overwhelming lack of originality and chemistry. 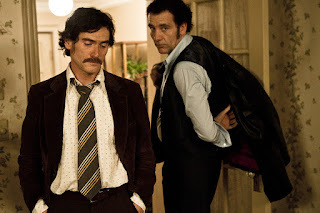 It's the 1970s in New York City, and police officer Frank Pierzynski (Billy Crudup) arrests criminal Anthony Scarfo (Matthias Schoenaerts) and reignites a romantic relationship with Scarfo's wife Vanessa (Zoe Saldana). 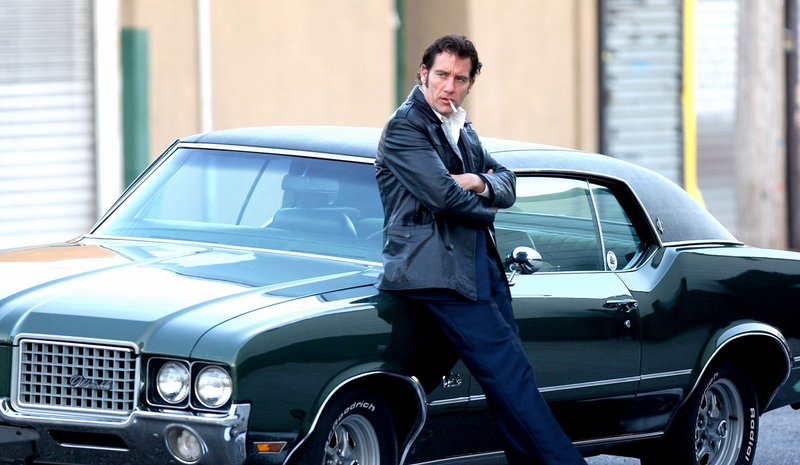 Meanwhile Frank's brother Chris (Clive Owen) is released from prison and despite an uneasy brotherly dynamic, Frank tries to help Chris go straight. Chris accepts a job at an auto garage, reconnects with his wife Monica (Marion Cotillard), and establishes a new relationship with Natalie (Mila Kunis). Frank and Chris were brought up by their father Leon (James Caan) after their mother abandoned the family. Leon is now physically ailing and just wants the brothers to get along. But Chris is soon sucked back into a life of crime and gets involved in gangland murders and armed heists, placing Frank in the awkward position of having to pursue his brother. Meanwhile Scarfo is stewing in jail, plotting revenge against Frank. Directed by Guillaume Canet as a remake of French film in turn adapted from a French novel, Blood Ties labours its way towards offering nothing new. All the ingredients are there, from the gritty 1970s New York setting to the conflicted characters living in the shadows of emotional damage built up over a lifetime of disappointments and betrayals. But the film lands with a dull thud of inertness, the performers almost seeming disinterested, the script never building a head of steam, and a general sense of ennui suffocates the movie. Which is unfortunate, since the cast is full of talent. Clive Owen, Billy Crudup, Zoe Saldana, Marion Cotillard, Mila Kunis, James Caan and Matthias Schoenaerts should enliven any film. But the screenplay, co-written by Canet and James Gray, is unable to locate an adequate spark. The interactions remain dull and subdued, Frank and Chris too often squabbling, sulking and wrestling like children. Scarfo hisses stereotypical evil and the women suffer most in being unable to justify why they are hanging around this assortment of losers. James Caan tries his best to inject some dynamism but errs on the side of overcooking the father trying too hard to make up for the flaws of the past. The few action scenes are well executed, and Canet does succeed in capturing the spirit of a grainy, crime-infested New York filled with over-sized cars transporting villains from one sleaze-infested neighbourhood to another. Blood Ties has the look, but it only serves as reminder that almost everything else is missing.